To me, innovation is not accepting status quo. Whether it’s inventing technology for earlier cancer detection or developing motion detection sensors to help monitor the elderly for falls, not accepting a situation that is less than ideal and creating a better way of doing it is what feeds innovators. We have several clients who are talented and successful innovators and it’s an honor to partner with them and protect their innovations. How does your company differentiate itself from others? I believe we are stronger than many other law firms because we are consensus-oriented. We don’t accept grandstanders and we hold each other up to a high standard of hard work and excellence in client service. We want everyone to be better as a team because that helps the clients the most and it helps the firm as a whole. 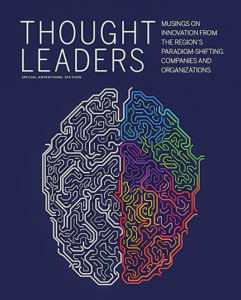 What type of opportunities exist for innovative thinkers to join your firm? We are always looking for new talent and innovative thinkers. Munck Wilson’s approach to business is to acquire good people no matter what and to adapt to the market. While many companies will hire for the business that’s coming, we hire good people for the sake of having good people on our team. If they are good, they will bring the business. We were recently named a litigation department of the year finalist in Texas and I am excited to see the continued successes of our team as they take on several high-stakes litigation cases in 2019. We have hired some talented attorneys and staff and I am excited to see how they contribute to the team and our firm’s successes. We have asked our younger attorneys to contribute to shaping the future of the firm and how we operate, which is giving us fresh perspectives and innovative ways of doing business. Finally, we are planning our second S.H.E. Summit for August 2019 and expect this event to be even more successful than our 2018 event which attracted over 300 attendees. Stay tuned to hear more about S.H.E. Summit Dallas 2019: www.shedallas.com.